HAVE YOU BEEN SETTLING FOR MEDIOCRITY? 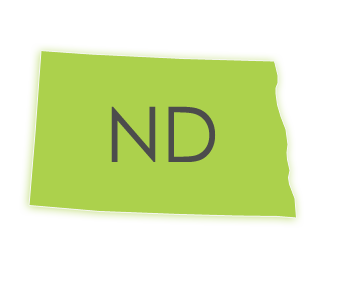 Discovery Litigation Services has the North Dakota court reporter you are looking for. With access to a nationwide network of realtime ready professionals, your qualified North Dakota court reporter is just a click away. Utilizing the latest advances in court reporting technology we provide you a realtime ready North Dakota court reporter who can produce an instant transcript with 90% accuracy. Realtime Ready Court Reporting provides a direct link between you and the court reporter as he creates the record. With on the fly translation from your North Dakota court reporter’s shorthand into English streamed right to your monitor, you get the benefit of an instant transcript in real time. With this high level of accuracy in reporting, your final transcript no longer takes weeks to obtain. This may seem like an obvious far fetched question, but it’s worth exploring. How much of your time are you wasting tracking down a highly qualified North Dakota court reporters, legal videographers, coordinating depositions, booking conference rooms, sifting through hours of video, and fixing other people’s mistakes? Every minute you spend waiting on a court reporter to set up or just to find your location, to track down lost transcripts, or utilizing inefficient processes is time stolen from your case, from your family, from that vacation you need - and deserve. Discovery Litigation Services offers on demand solutions to streamline the once inefficient process of doing it the old way. Take your process into the twenty first century and utilize the technologies that have revolutionized so many other industries, and take back your most precious nonrenewable resource, time. Why waste your time on outdated tech, outdated “professionals”, and an outdated way of thinking. Push your practice forward and enjoy the freedoms that come along with implementing the most current technology available. Reclaim your time. Reclaim your life. Spend less of it searching, hiring, skimming documents, or sifting through footage, and get back to what drives you. There have actually been cases of court reporters losing official transcripts. This is unacceptable and a potentially catastrophic blunder on the part of the court reporter. It’s a mistake that can cause irreparable damage to your case, and it’s completely avoidable. Discovery Litigation Services implements an easy to use online case management software allowing you to quickly access anything you need from anywhere in the world. No more lost records! Keep everything in one secure space in the cloud accessible from any of your internet connected devices. Keep command of your case management whether you’re in the office or on the beach. Stay in the know, with full access to reports, clickable transcripts, skimmable deposition video, and stay in charge of your budget with our transparent pricing easily monitored from our web platform making it easy to share important information with those who need it most. Never lose track of your case. Our tools provide a seamless experience and puts all of your vital information securely in your hands. Discovery Litigation Services’ network of video streaming enabled court reporters allow you to receive an experience, qualified court reporter regardless of your depositions’ location. There is nowhere too remote to depose! Our primary belief is eliminating the barriers to high quality legal services starting first with geography. Modern tech enables us to virtually teleport decades of experience straight onto your team at a drop of the hat. Discovery Litigation Services is confident in its ability to give you exactly what you need without incident. Hold us accountable and expect more. We’ll strive to exceed your expectations every time.